This week has been a bit of a mess in my world. Just when I got myself clear of a 48 hour stomach bug, I managed to slide an inch-long splinter into the ball of my left foot, necessitating a trip to urgent care. I managed a pot of soup and some simply homemade pizza, but otherwise we’ve been surviving on scrambled eggs, bagged salad, and take-out. May this week be a little easier. Now links! 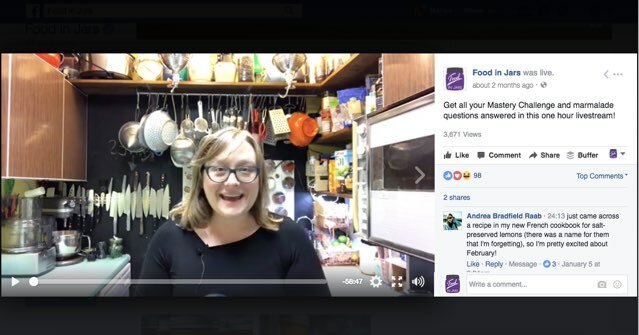 This Monday night (April 24, 2017), I’m going to do a Facebook Live broadcast on the topic of quick pickling. Join me at 9 pm eastern time and bring all your quick pickle questions! Finally, our five winners in last week’s Cuppow giveaway. Thanks to everyone who entered! Take care of yourself. Take-out, eggs and bagged salad are perfectly good self-care meals. 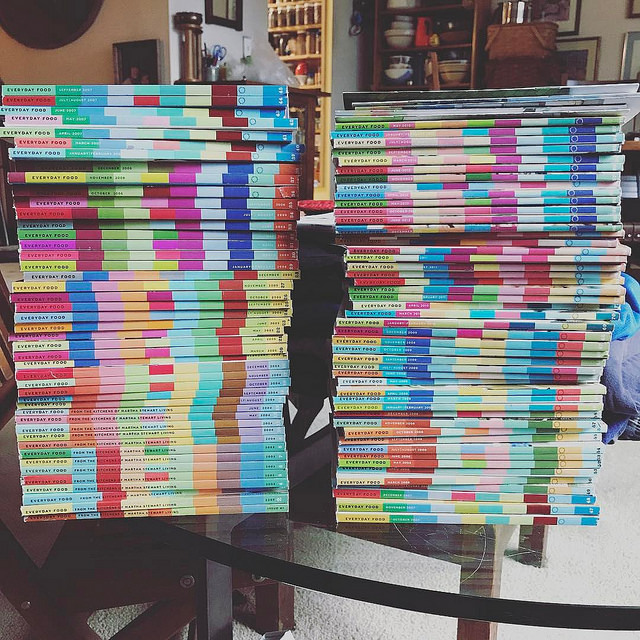 Is it wrong for me to covet that picture of your Everyday Food magazine collection? 🙂 I’m trying to complete my collection. I miss that magazine. Oh, I hope you feel better Marisa 🙂 Just take a rest and enjoy that take out! Btw, I got my pot…thank you so much, it’s beautiful. I’ve had a stomach thing too, so I haven’t tried it out yet, but it’s sitting prettily on my counter giving me many ideas.